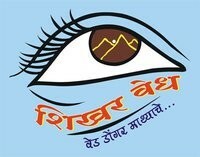 We @ Shikhar Vedh has organized a trek to Mt. Patalsu Heights (~ 13845 feet) near Manali on 17 – 22 June 2019. Prepare yourselves for the Beautiful section of Patalsu Peak. The first hour of the walk will be through a mixed forest of conifers and oak. After this section is over, you will have scaled a substantial height, and the trees will disappear altogether. The rest of the trail is exposed, rocky and relatively unmarked. After about 4 hours of hiking, you will conquer the Patalsu Peak, which is roughly 13845 feet high. The journey will give you magnificent views of many snowbound peaks of the Dhauladhar and Great Himalayan ranges. Later in the day, start descending and retrace the path to the Shagadugh campsite. Start your journey to Solang Nallah from Shaga dugh early in the morning. At Solang Nalla, board a vehicle and drive back to Shikhar Par. Please book yourself with Advance payment of Rs. 7500/- per head (Non-refundable) … Deposit the amount on following account. “Shikhar Vedh” & our associate partner Shikhar Par Manali, Himachal Pradesh, will have all authority to make any changes and final Decision.